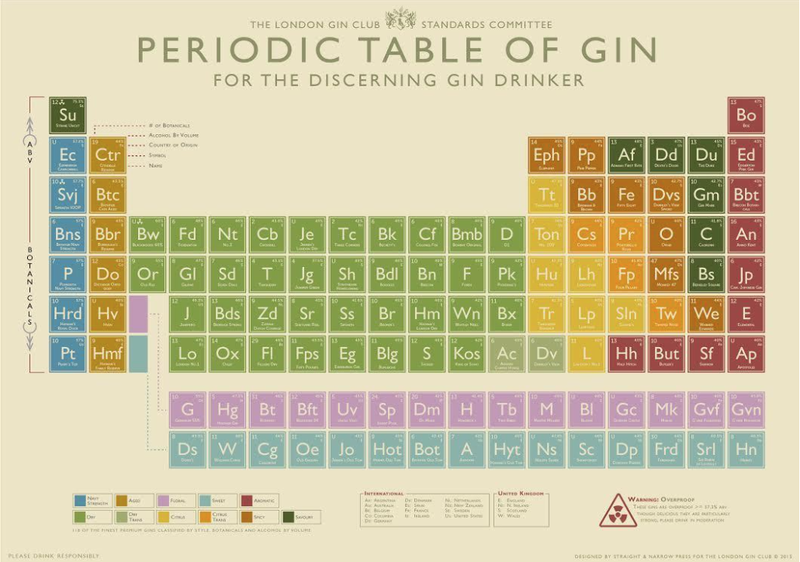 Those wonderful people at the London Gin Club have have created the world’s first Periodic table of Gin. You may recall my adventures with the Periodic table, with both my former supervisor’s reworking of the table, and also an interesting link to St Giles’ Church and the University Museum of the History of Science by way of the life of Henry Moseley. However this is something quite different; detailing over 100 gins, their style, ABV and botanicals. You can find out more about the London Gin Club here, and you can buy one of their tables here.